5 hour San Francisco e-bike tour of some of the most beautiful scenic spots The City has to offer. We depart from our San Francisco location and explore this great city by e-bike, tackling all the tough hills to appreciate the best sights. We'll explore Golden Gate Park, China Town, North Beach, Ocean Beach and even ride across the Golden Gate Bridge if time allows. This will be a 5 hour San Francisco e-bike tour of some of the most beautiful scenic spots The City has to offer. We will depart from our San Francisco location at 1452 Bush Street at times ranging from 10 a.m. to 5 p.m. to explore this great city by e-bike, tackling all the tough hills to appreciate the best sights. 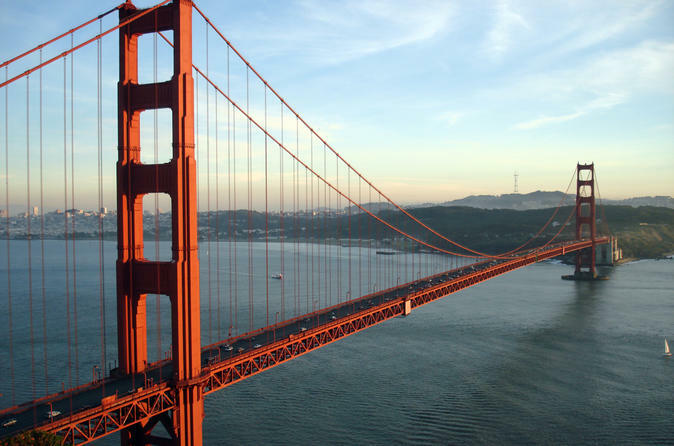 We will explore Golden Gate Park, China Town, North Beach, Ocean Beach and even ride across the Golden Gate Bridge. If you have any questions, please contact us at +1-650-918-6259 or +1-415-580-1452.